Scarves are a huge trend for Spring. 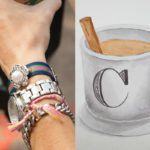 This Scarf Chain Wrap Bracelet DIY is a great way to add this trend to your wardrobe right now. This tutorial also has a video DIY, be sure to check it out. 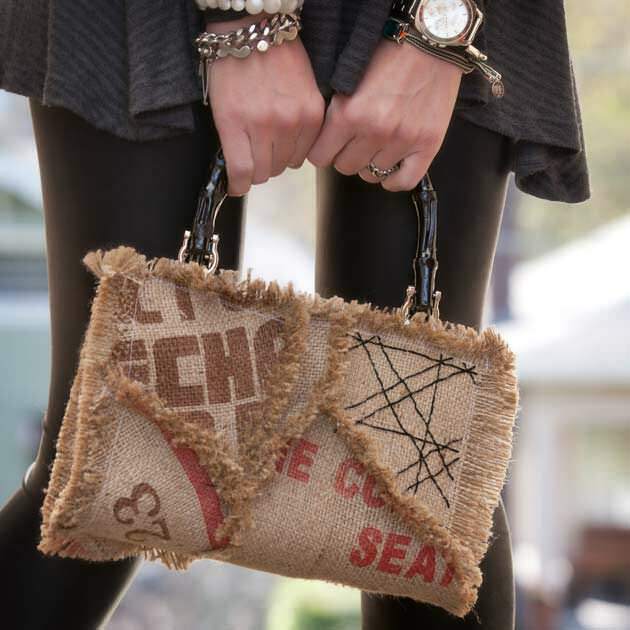 Check out the video tutorial to see this DIY in action. I made this bracelet using two different shaped scarves. The first scarf I used was a long skinny scarf. Measure your chain around your wrist. I cut mine just short of wrapping completely around my wrist. 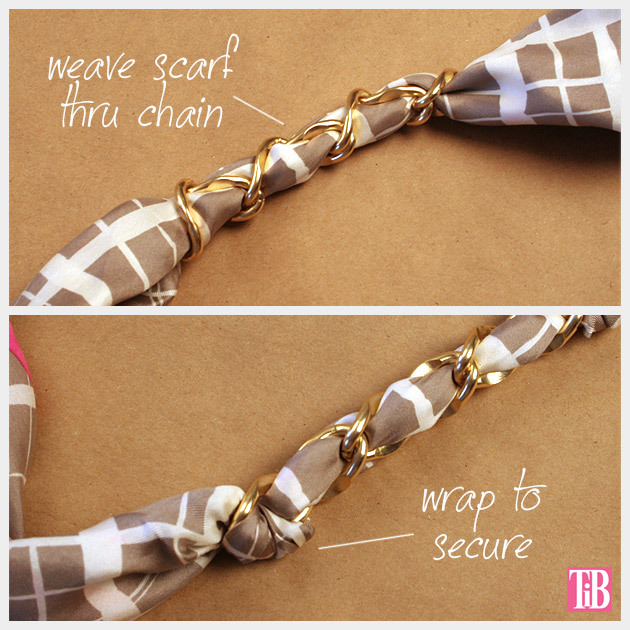 Weave your scarf through the chain. Once your scarf is through your chain, wrap it around your wrist to make sure youve left long enough ends to wrap and tie. Adjust your chain on your scarf until its where you want it. Take your ends and wrap them around the last link on each end of your chain and pull tight. 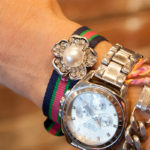 This will keep your chain from slipping on your scarf and make sure it lays flat and looks good on your wrist. If youre using a long skinny scarf like I did here, youll want to cut off any extra scarf to make your two sides even. 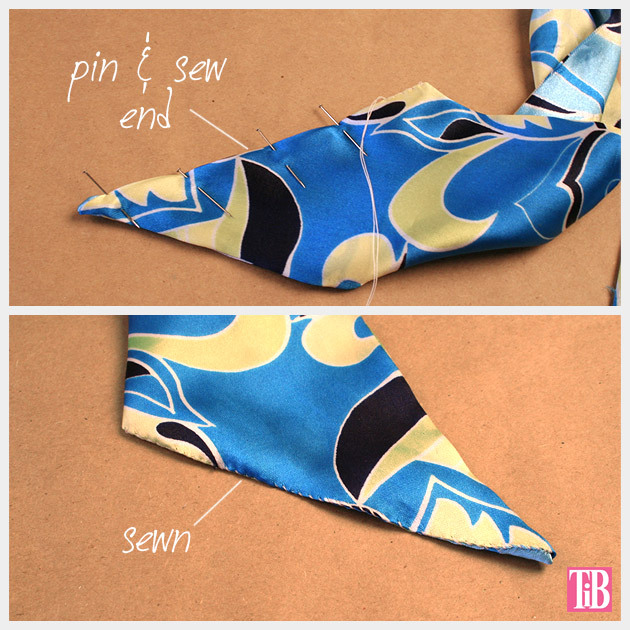 Fold a small hem and pin the end of your scarf. Using your needle and thread, stitch this seam closed. I used a small whip stitch to sew this closed. Here comes the fun part, wrap it around your wrist and tie it. Make sure to tie it in a knot or it will come undone. 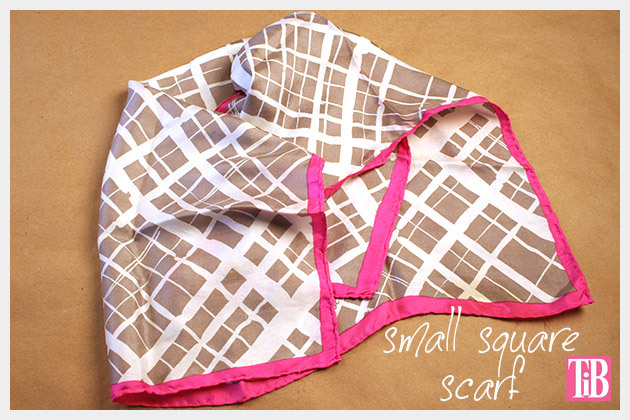 The second scarf I used is a small square scarf. Measure your chain the same as above in step 1. Fold your scarf in half to make a triangle, then fold the points in toward folded side and then roll your scarf until its long and skinny. You can see this in the video. 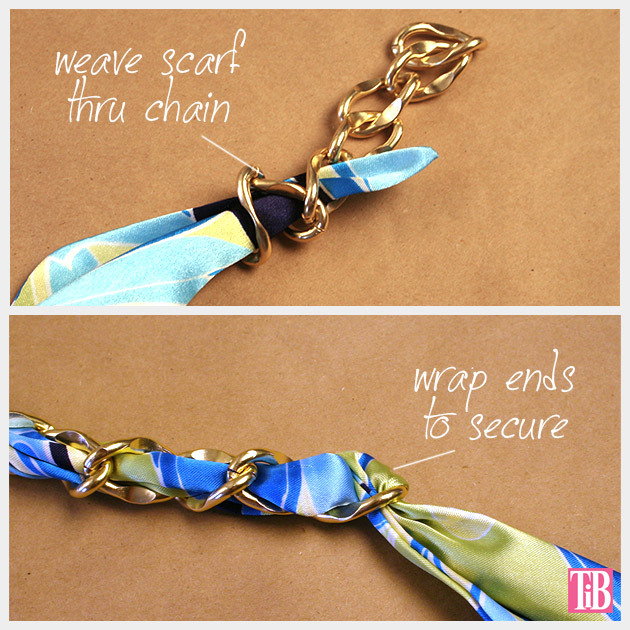 Weave your scarf through the chain and wrap it around the last chain on each end of your chain. This will keep it from sliding. Wrap it around your wrist and tie. On this one I left longer ties. I like them to hang, I think it gives a really great scarf look and feel to this bracelet. If you dont like the ties hanging you can you can tuck them in. You can see this in the video. Scarves are everywhere for Spring, all the magazines are featuring scarves. 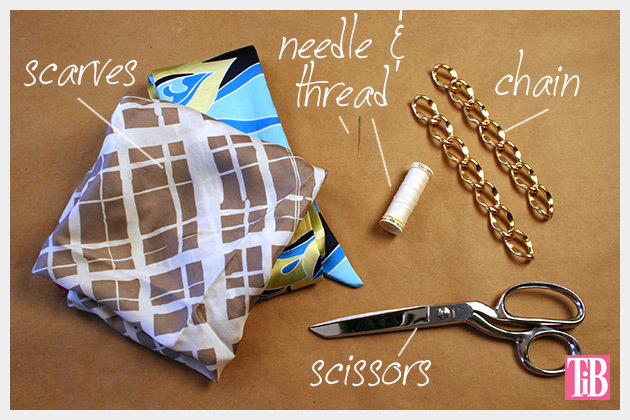 You see them worn traditionally around the neck or like this Scarf Chain Wrap Bracelet DIY, worn around the wrist. Scarves really lend themselves to DIY, you have to do something with a scarf, tie it, wrap it and they can completely change your look. This Scarf Chain Wrap Bracelet DIY will add a lot of color to your wardrobe for Spring and by adding the chain it makes it much more interesting and on trend for Spring. This week on the blog, I was so inspired by all the scarves Im seeing everywhere, that I’m dedicating this entire week of DIYs to scarves. So get ready for Scarf Week! 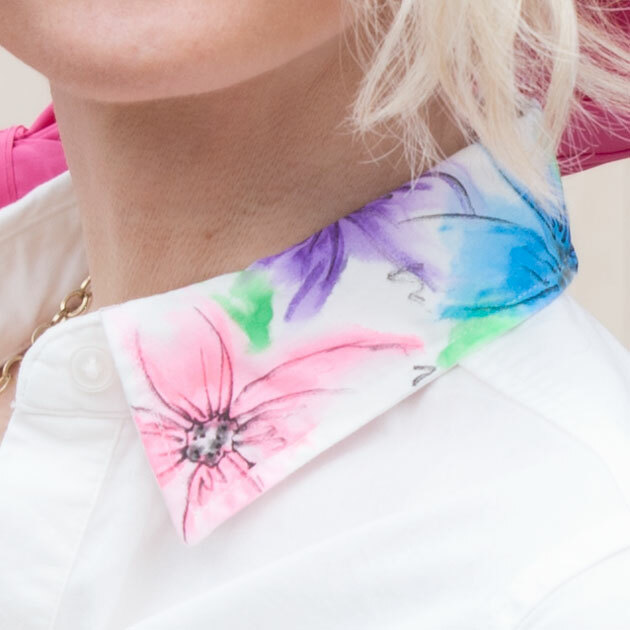 Ok, so its not as exciting as shark week, but it will enhance your wardrobe for Spring and be a lot of fun! Leave me a comment and let me know what you think of this DIY and let me know how yours turns out. 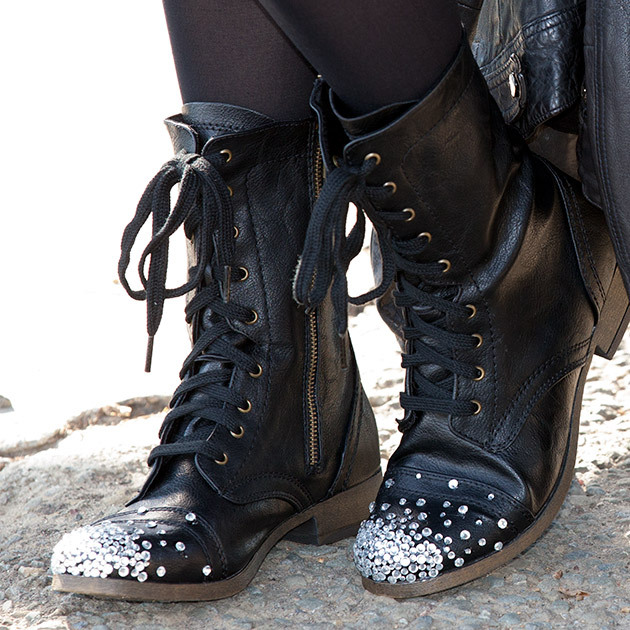 chic, feminine and I love these. and this video is very helpful. your posts always creative and fun! Thank you!!!! This is SO cute I absolutely love it! I love making bracelets, and I was looking for a springish one. Found it! Thank you so much! Thank you sooo much!!!! I’m so glad you like this bracelet. Wow. Beautiful. You reminded that I started a bracelet like this and never finished it. Great inspiration. This is fantastic!!! I have so many scarves laying around since I work in scarf design and I dont know what to do with some of them… this is elegant and chic and best of all easy!! I made this with a man’s watch (the round part only) , and it turned out very chic and sophisticated!